December 29, 2010 December 30, 2010 Wallace Bishop I.N.H.C, C.N.C. The Holiday Season between Thanksgiving and January 1st is a dietary challenge for most of us. How did you do? Were you able to keep the pounds off or did you gain a few? Now is the time to get in the right frame of mind to tackle your weight and health issues. This New Year, can be the year you really improve your health and develop a lifestyle that will promote vibrant health forever! If you are serious about taking the pounds off and keeping them off read on! Having lost over 200 pounds and kept it off, I guess you could say I know what I am talking about when it comes to weight loss. Most people start with a great attitude and lots of enthusiasm. This last for about 3 months and before you realize it you are slowly sliding back to your old habits. I am sure that’s not what was intended however over 90% of those making dietary resolutions do not keep them through the year. They did not have a plan to carry them through. They lasted 3 months on desire alone and it takes much more than desire to have successful long-term weight loss. If desire is all that is required to lose weight, we would all be at a great weight and healthy. If you really want to reach your goals you must be determined that nothing will get in your way. Success in business or weight loss requires a plan or formula. So what is required? knowledge ( do you know how many calories you should consume, the right ration of carbohydrates, fat and protein in your daily diet, which foods increase metabolism, which foods promote health and which ones don’t etc…) This is one of the areas most people get trapped by. There is an incredible amount of information in the internet. Much of it is wrong and even harmful in some cases. Trust a dietary health professional to give you safe and effective advice. The fact is, losing weight requires a change in the way we think, eat and the amount of activity we engage in. If you keep doing what you doing, you’ll keep getting what you’ve got. So change is necessary. There is no magic bullet or pill. Diets do not work. What we eat is vitally important to proper weight balance. If you want permanent change, a change in your lifestyle is what works. In America when someone uses the term “diet” in the context of losing weight it usually means they are going to change what they are eating and maybe exercise a little for a temporary period until they have achieved their desired goal. Then what do they do? They will return to their original eating and lifestyle habits. They have not established healthy lifestyle habits or fixed the problem that caused the weight gain to begin with. Yes they are going right back to the very same behavior that got them to that point of needing to lose weight to begin with. Hopefully you are getting the message. 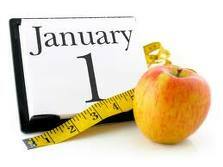 If you only want to lose a small amount of weight for a few months, OK diet. If you really want to lose weight and keep it off you must quit thinking a diet will do it. You will set yourself up for failure. Our relationship with food can be out of balance or skewed. Most people look at foods as an enjoyable hobby, event or even a means of comfort when sad, frustrated or angry. Without understanding the mechanics that drive us to eat we fall into the traps of over consumption. You must also learn to identify the difference between hunger ( a real physiological need) and appetite ( a false sense of hunger). Appetite is usually caused by eating at the same time everyday, during events such as when watching football, by social influence going out for beer and pizza with friends or a holiday party or event. Dietary consumption driven by appetite will almost always cause weight gain. Overeating when hungry will cause weight gain. You must understand your energy balance. This means you must know how many calories you need based on your activity and exercise levels. If you consume more calories than you burn per day you will gain weight. Every day you have a limit, think of it as a calorie budget. As long as you do not exceed the budget you will not gain weight. To lose weight you must consume fewer calories than you burn so your body must use stored energy in the form of fat to function. To lose one pound per week you must burn 500 more calories per day than you eat. Never eat less than 1200 calories per day. This will slow down your metabolism drastically to the point that you will not lose weight. You may even gain weight. Your body thinks it is starving. Never lose more than 2 lbs. per week on a continuous basis. Weight Loss does not mean you are healthy. I had a client state, “When I get my excess weight of I will be healthy.” I had to explain that just losing weight does not mean you are healthy. The qualities of the foods you consume are much more important for your health than the weight loss. Losing weight without a proper diet will lead to future regain of the weight and other possible health conditions. There are plenty of people at the right weight for their height that are not healthy. For example, some people manage weight through the unhealthy practice or purging or bulimia where they purge the foods they eat and they over exercise. This can lead to a potential for very serious health consequences. There are many people who may look healthy because they are at a normal weight however they could be eating a very poor diet of fast foods that are making their body’s nutrient bankrupt. Eventually nutrient bankruptcy of the body will lead to illness and possible disease. Weight lost achieved in a healthy way can give an excellent foundation for vibrant health providing a long quality life. Our health is really dependent of the consumption of the building blocks of our bodies. Refined and processed foods are devoid of the nutrients required to keep us healthy. We need vitamins, minerals, essential fatty acids, enzymes, proteins, complex carbohydrates and fiber for vibrant health. Eating foods devoid of them will cause blood sugar imbalances which will cause cravings for carbohydrate rich foods. In addition the lack of nutrients means you can’t turn the foods you eat into energy. To make energy from foods requires many nutrients and just taking a supplement or eating foods enriched or fortified with the nutrients they are missing is no replacement for nutrients from real foods. The contents of this blog is not and should not be considered medical advice. This blog is for informational purposes only. Always consult with your doctor before making any dietary or lifestyle changes. Always seek medical clearance before starting a new exercise routine. Never quit taking prescription medications unless advised to do so by your doctor.